Can't believe the lack of strategic thinking by the Labour Party over Vince Cable these past few hours. Uncle Vince has of course mad a fool of himself and wasted his entire Political Capital, this is a good thing for the Coalition Government as it reduces his ability to be awkward. However, for Labour they have looked a gift Horse in the mouth. Instead of trying to lure Mr. Cable to their side, they have viciously and personally attacked him. Where now for Vince? He won't quickly forget the bitter personal Labour attacks, so he will be stuck in bed with the Tories. A much more obvious Labour strategy would have been to say we agree with Vince the Coalition is wrong about Murdoch and his comments about evil Tories are right. Get him onside. After all one day the Labour party might be calculating they will need him in a Coalition Government of their own. All the more reason to find today's attacks bizarre, the Labour leadership is really lacking in political nous. 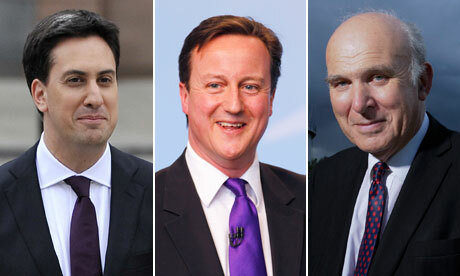 Even if they succeed in getting a scalp of Vince Cable they have lost. He will be angry with them from the back benches and the Tories will appoint the more right wing David Laws in his place. Agreed. But Labour would kill their own granny right now if she put on a Lib Dem t-shirt. ... on Strictly Come Dancing. Ek your sick, do you really watch that show?! Ed Miliband is calling on Cable to resign or Dave to sack him. He's quickly becoming the new Arafat. "He never misses an opportunity to miss an opportunity..."
I think Ed is defining success as whether it is his attack line that leads the news at 9/12/5 today. He is not looking at the long term. By this definition, he isn't doing too badly. Given Mr Cables superior ability with doublethink, I dont think it will hurt the chances of LibLab collaboration overmuch in 4 years time. LibLab. Sounds like a damp dog.